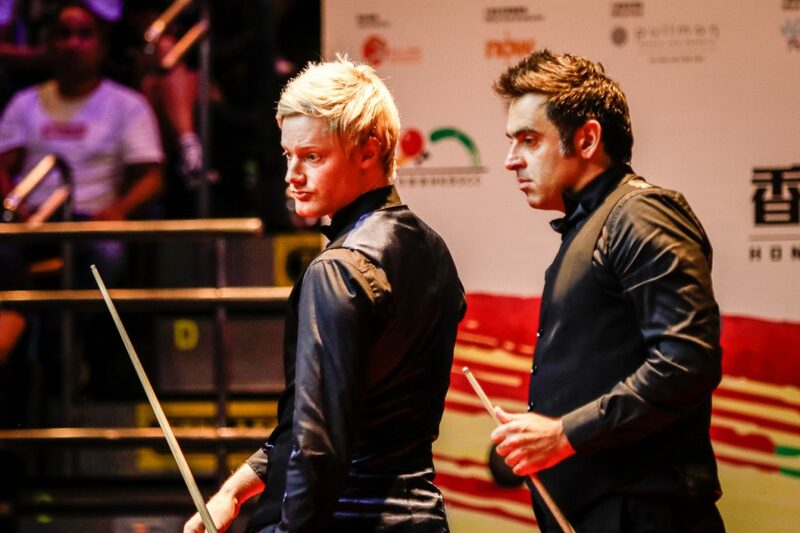 Neil Robertson put on a sublime display to see off five-time World Champion Ronnie O’Sullivan 6-3 and lift the Hong Kong Masters title. 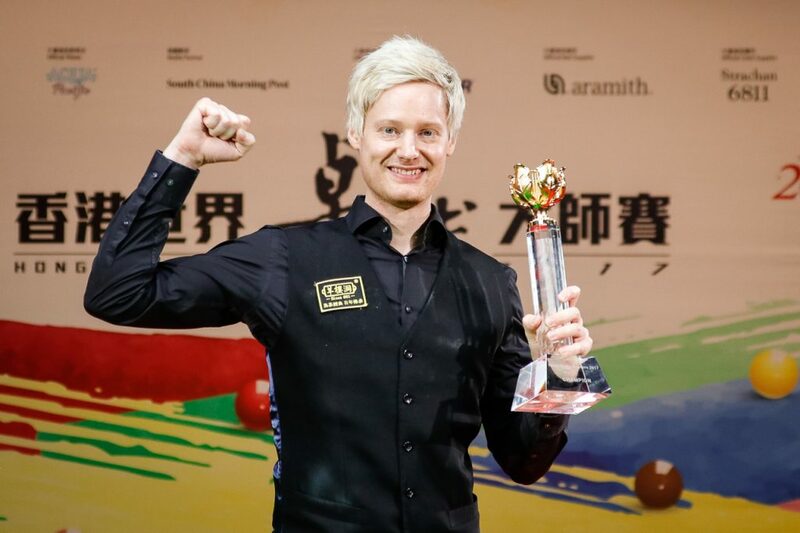 The Thunder was faced with three of the biggest names in the sport this week, but he managed to overcome World Champion Mark Selby, local hero Marco Fu and 28-time ranking event winner O’Sullivan, to claim the crown. The Australian takes the top prize of £100,000. It’s the third invitational title of his career following victories at the 2012 Masters and 2015 Champion of Champions. O’Sullivan came from behind in his opening two matches against John Higgins and Judd Trump, to force deciders, which he won. However, he was unable to repeat his heroics this evening. The Rocket took the opening frame, before Robertson responded with breaks of 73 and 80 to take the lead. Both players made contributions of 67 in the fourth frame, but it was O’Sullivan who deposited the final black to restore parity at 2-2. The Englishman then produced a spellbinding run of 143 to take the fifth frame and lead 3-2. However, from that point on Robertson took control. The 12-time ranking winner won four frames on the bounce, finishing with breaks of 68 and 82, to lift the title. A joyous Robertson remarked: “This event had the best eight players in the world. The draw I had was incredible. Mark Selby, Marco Fu and Ronnie O’Sullivan. It doesn’t get any harder than that. To do it in front of three thousand people was amazing. That was the best playing experience of my career. “Last season was really bad by my standards and I think I needed that to happen to know what to do going forward. This was the first big tournament of the campaign and my preparation was fantastic. I’ve worked really hard and I just have to do this for the rest of my career. I need to play this aggressively as well. I didn’t let Ronnie dictate the pace of the match. O’Sullivan was in reflective mood after the defeat, but admitted he needs to make a change with his cue.